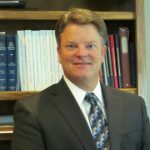 Larry Hicks joined the firm in 2012. He has been in private practice for more than 30 years. Larry obtained his law degree at Salmon Chase College of Law at NKU in 1984. He earned a bachelor’s degree in Accounting from the University of Kentucky in 1981. He is admitted to practice in all courts of the state of Kentucky and Federal District Court in the Eastern District of Kentucky, as well as the Sixth Circuit Court of Appeals. Larry is a member of the Northern Kentucky Judicial Foundation. 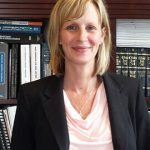 He has presented at several educational seminars for attorneys dealing with various aspects of litigation. He has represented individuals as well as banks, and insurance companies. And he has handled many cases that were in excess of $1,000,000. His accounting degree has been a benefit with business litigation for understanding financial documents and in the analysis of damage issues. Larry’s wife Sharon is a nurse and they have five children.